Citycell is one of the Bangladesh based private telecommunication companies. The company was established in the year of 1989. It’s the company of the Pacific Bangladesh Telecom Limited. It offers various types of prepaid and postpaid mobile tariff plans for its customers. The mobile service provider, Citycell, has its different internet plans as well. The company is intended to attract the users and extend the levels of telecom services. It also offers a fixed phone plan that was launched in 2003 with the BTTB connectivity. A new plan of ‘Aalap – Call Me’ was announced two years later in 2005. The customers of Citycell can enjoy free phone calls at the late night. General Helpline: 121 (Charges BDT 0.60 per minute). IVR based Helpline: 158 (No charges apply). From other operators: 01199121121 (charges as per operator tariff). 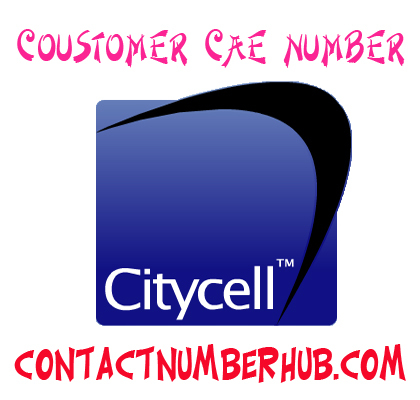 Numbers of the Citycell Customer Care: +8802-8822761, +8802-8822761. Number of the Citycell Alternate Customer Care: +8802-8822186. Numbers of the Citycell Alternate Customer Care: +8802-8822187, +8801-199121121. Corporate Headquarters Address of the Citycell: Pacific Bangladesh Telecom Limited, 14, Mohakhali C/A, (Pacific Centre Ground Floor), Dhaka-1212, Bangladesh. Corporate Headquarters Phone Number: 9842761-5, 9842186-7. House#81, Kakrail, Dhaka – 1000. Working Hours: From 10:00AM - 07:00PM. Working Day: Sunday to Monday. Working Hours: Form 10:00AM - 07:00PM. Working Day: From Sunday to Monday. Working Hours: From10:00AM - 07:00PM. The above customer care center executives are 24 hours and 7 days are ready to solve your issues regarding Citycell mobile. You can get information, complaints, feedback, suggestions and queries relating to the services and products of Citycell. You will find the customer care department via their helpline number, customer service offices and customer support email id. So, get your issues resolved with above mentioned Citycell customer care numbers and details. If you need more assistance from us relating any further issue, knock us without restraint.